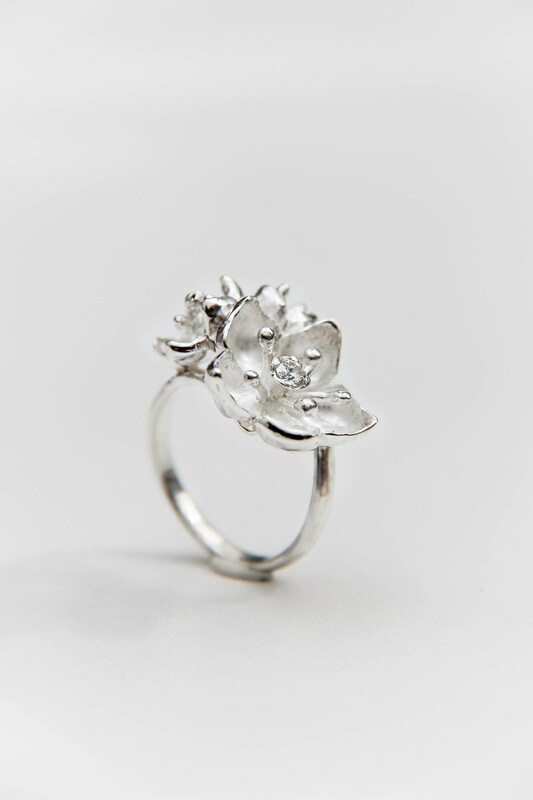 Apple blossom ring is hand-sculpted from sterling silver sheet and adorned with natural 0,1 ct round cut diamond. 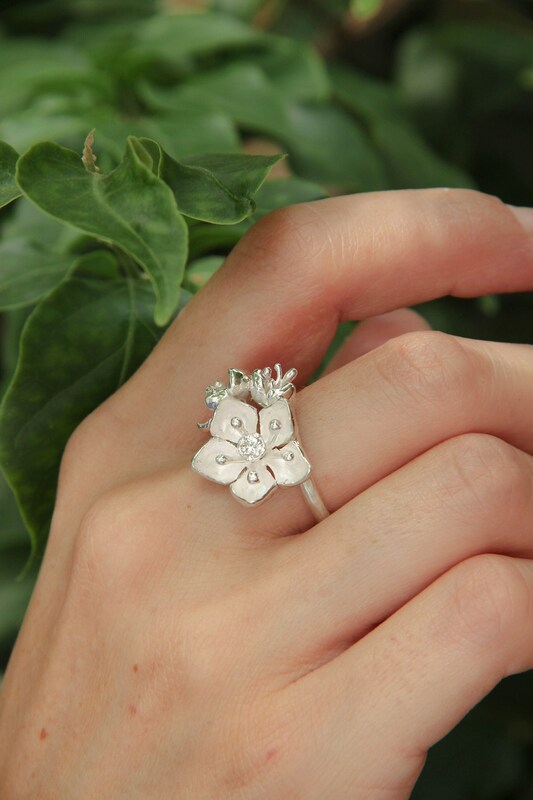 This flower engagement ring features botanical design with amazingly detailed flowers: one bigger and two small buds. 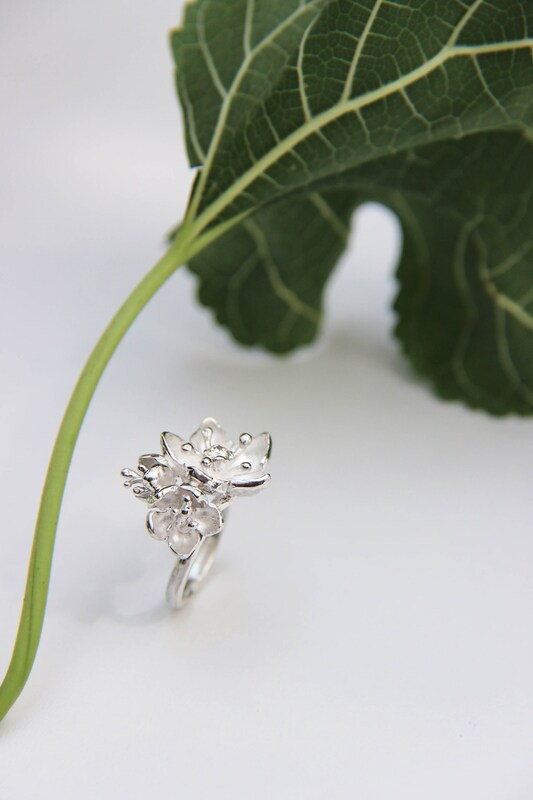 Apple blossoms looks very delicate but ring is sturdy and non-catchy. 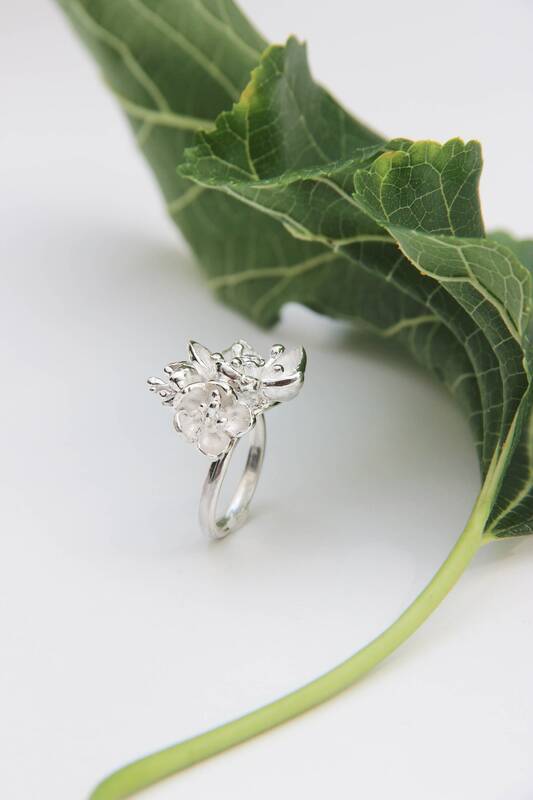 This diamond ring is ONE OF A KIND due to handcrafted techniques. 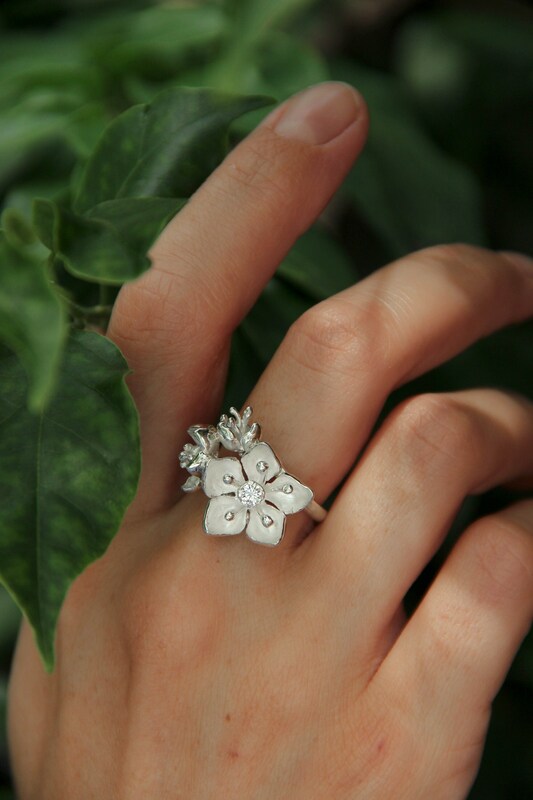 We can make similar rings, but never copies. 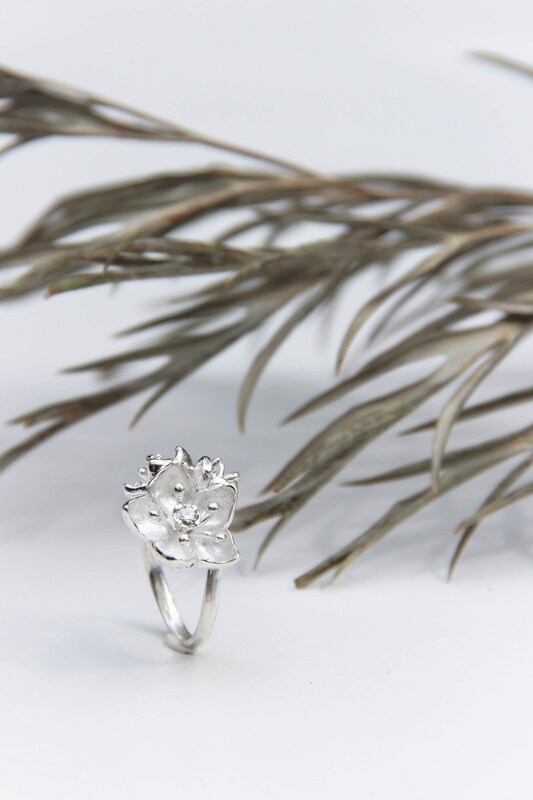 Sorry, we can't make this in white gold or platinum. 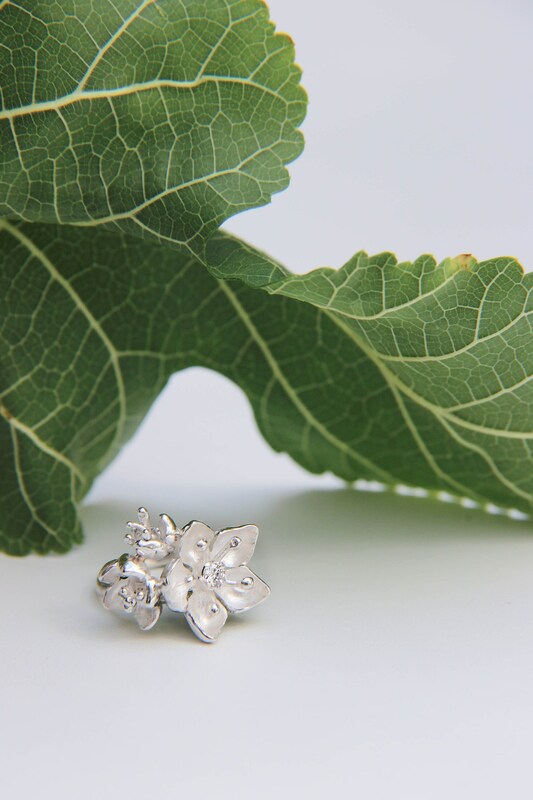 natural, 3 mm in diameter, 0,1 ct, SI clarity. Higher clarity / size is available upon request. Let me know if you wish bigger diamond of another type of a stone. 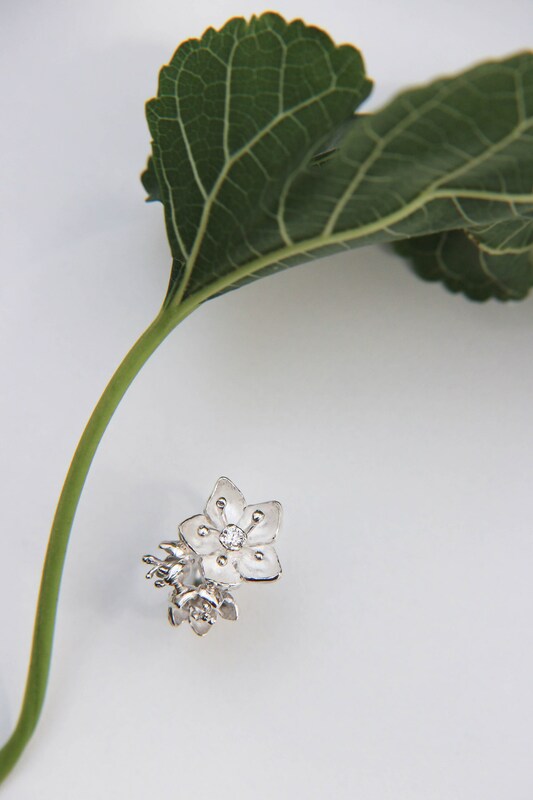 Sterling silver ring comes in elegant black box and is ready to give. 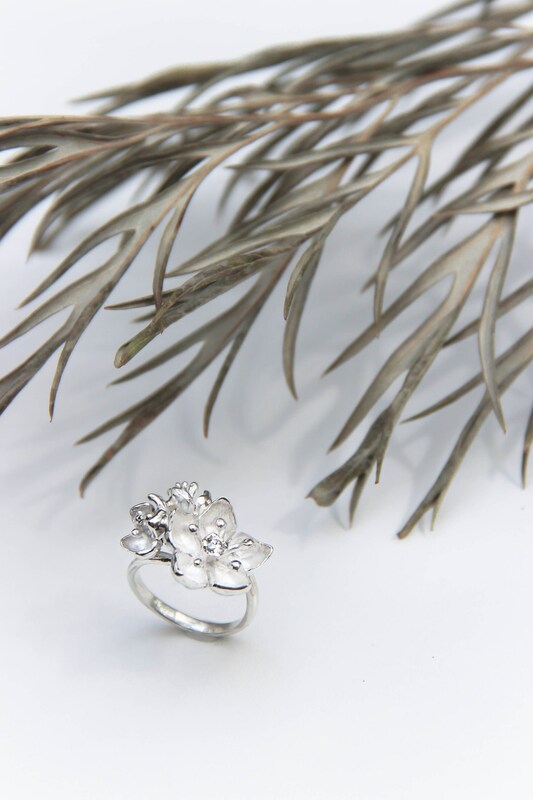 This silver flower engagement ring is 100% handcrafted work, we don't use 3D design or moulds, only ancient techniques which give a real touch of handmade work.